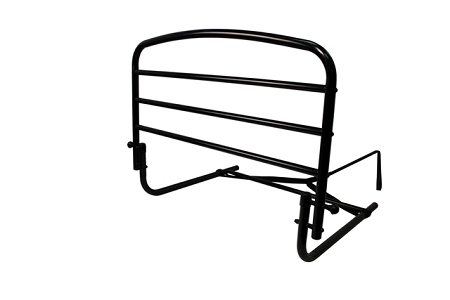 Standers 30 Inch Safety Bed Rail is bed rail and hand rail helps make getting out of bed easier. Bed rail and hand rail helps make getting out of bed easier. 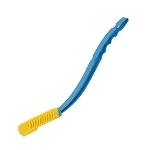 Includes all necessary parts for easy installation on home and hospital beds. Reversible and fits on either side of bed. Prevents falls and assists with mobility. 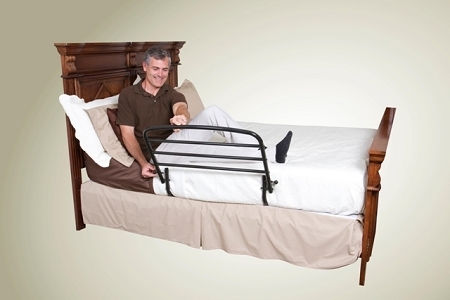 The Standers 30 Inch Safety Bed Rail helps keep loved ones safe, providing caregivers peace of mind. This side rail prevents falling out of bed and is also a support hand rail for getting out of bed. 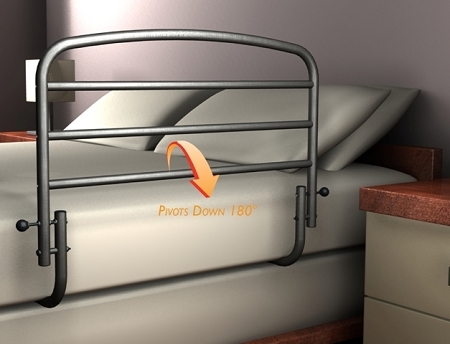 This fold down bed rail pivots down out of the way when it is not needed. 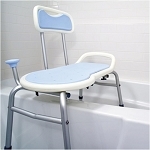 The Standers 30 Inch Safety Bed Rail attaches easily to any size home or hospital bed with the included installation parts. The rail is reversible so that it can be placed on either side of the bed. 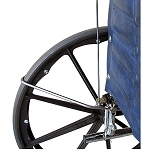 The dual safety strap secures the bed rail to the bed frame, providing added security and stability. Assembly: Includes all necessary tools. Rail height: 23 inches high from the base of mattress. Q: Hi, will this product fit on a queen size bed? 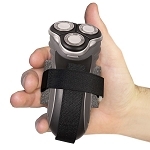 Do I need tools to assemble the product? Can the bed be folded down from inside the bed? 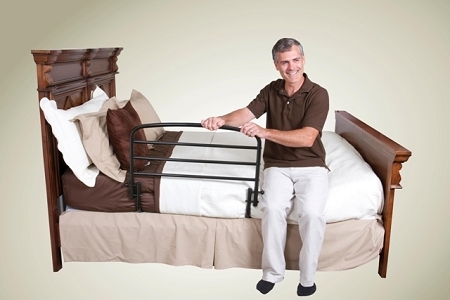 A: Yes, the Standers 30 Inch Safety Bed Rail will work with a queen size bed. The product comes with all of the tools needed for assembly and it can be folded down from inside the bed. 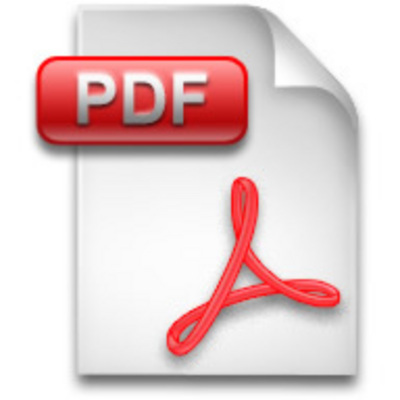 There is a short video provided under the product picture that demonstrates how to fold it down while in bed. 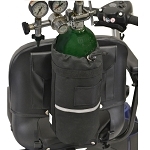 Q: Will this work with a twin hospital bed with air mattress? A: As long as the bed rail is installed properly and secured to the frame it should work with a hospital bed. However, I would be worried about an air mattress not having enough weight to not move around when trying to get out of the bed.